All businesses are striving for success and sustainability. Businesses are becoming more and more environmentally conscious these days. They are persevering to fulfill their corporate responsibilities toward protecting the environment by reducing carbon footprint. They are adopting eco-friendly steps in every aspect of business. For instance, marketing departments have been trying to cut down considerably on print advertising for saving paper. As such they are switching to e-marketing whenever possible. Companies are opting for eco-friendly re-tractable banner stand for presentations and tradeshows to promote their marketing message. When a company uses eco-friendly banner stands, it automatically attracts a lot of attention and creates an excellent impression on the clients. It conveys the message that the company is environment conscious and well-aware of its responsibilities. This really works and boosts brand image. The banner displays are designed and developed in eco-friendly facilities. These are known to be recyclable. These are an affordable and easy promotional solution. These banner stands have been created in such a way that can easily be set up and also, taken down almost immediately in not more than a few minutes. The banner stands are easily portable and usually, they come in handy carry cases which make movement from one place to another very simple and convenient. The eco-friendly retractable banner stand is just right for internal communications, exhibitions, point of purchase displays, sales meetings, on road sides, outside shopping malls, and practically anywhere. You can print whatever you want to print without any restrictions. You can print literally everything from texts to images. 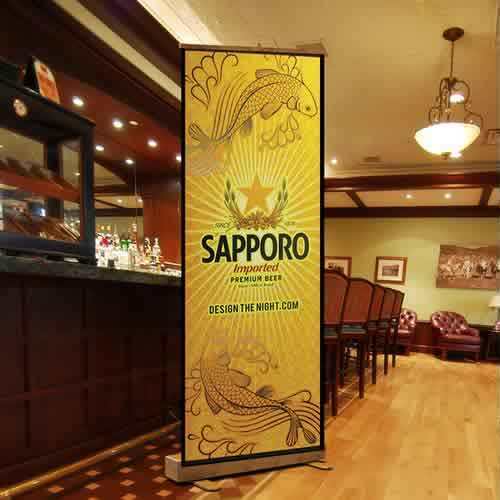 Retractable Banner Stands are created from recycled material also; non-harmful UV inks are used to print the matter. These are best for eco-friendly displays and exhibitions. These eco-friendly stands are said to be lightweight but very strong. They can be easily transported and set up without any hassle. These are best for eco-friendly shows and exhibitions. Retractable banner stands are not only easy to erect, but are easy to take down as well. Retractable banner stands are available in a number of models to suit your budget. The cheaper version comes with economy graphics meant for occasional use, while the premium version boasts of top quality and endurance. The more expensive models are designed to withstand repeated and rigorous use. They come in many sizes to suit your requirements. Retractable banner stands are known to safeguard their graphics from any wear and tear because the graphics roll down into compact stands, when not being used. The eco-friendly banner stands are often made of bamboo and bio-degradable graphic materials that prove to be highly sustainable and effective tradeshow display option. Most reputable advertising providers are coming up with mind-blowing and definitely superior signage displays. They realize the kind of pressure businesses are facing to demonstrate signage that are truly, a cut above the rest. Many eco-friendly banner stands are made from 75 per cent recycled matter. Eco-friendly banner stands may be printed effectively onto cardboard. Cardboard is known to be cent per cent recyclable via cardboard recycling bins. Bamboo banner stands are greener and greater options for businesses. Bamboo is the choicest sustainable material as it happens to be the fastest growing of all plants across the world. Bamboo is a far greener material as compared to glass, wood, fiber or aluminum. 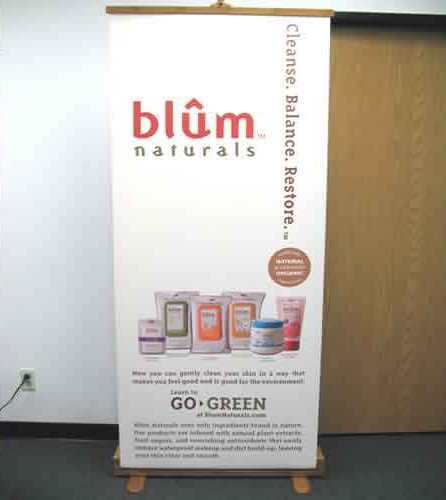 Eco-friendly retractable banner stands are instrumental in communicating your brand message in an effective, sustainable, efficient and affordable manner.